Short run printing is a form of printing in which the material that receives the print is printed in a small quantity. Over the years, technology for short run printing has advanced significantly. For example, roughly 15 years ago, digital printing for short run printing was unavailable. Today, however, digital printing is widely used for short print runs of labels that are applied in various capacities. Companies that use digital printers for short run printing enjoy four main advantages that motivate them to continue using the technology for short print runs. Because digital printing doesn’t involve the use of color plates, it lets you change label designs quickly and at practically no additional cost. Labels may need to be redesigned for several reasons, including a change in the company logo, new information about products on whose packages labels are placed, and sizing up text to assist those with vision disabilities. Regardless of why you need to change up your label design, digital printing helps you do it with ease. Because there is no need to bring images on labels “up to color” or check the image for registration and position, chemical waste and wasted paper from the printing process is reduced significantly compared to other printing technologies. Consequently, digital printing supports a reduction in waste disposal costs. Less solvent enters the solvent trap and recycling bins are stuffed with fewer sheets of paper, which means that your waste removal provider does less work to remove your waste. Is your company committed to being a good steward to the environment? If so, using digital printers for short print runs is an ideal option. Unlike other printing technologies, digital produces no hazardous solvents or inks that damage the environment. Instead, digital printers use toner that biodegrades and produces almost no waste. If you’re looking for an eco friendly printing technology for short run printing, digital printing is it. Using digital printers for short run printing is cost effective because no printing plates are required. For many companies, creating printing plates for short print runs would be financially unfeasible. This obstacle to short run printing is eliminated with the use of digital printers. If your company needs to reduce the cost of short print runs, and it currently uses a printing process that requires plates, switching to digital printing can reduce expense. Need Labels for Short Run Printing? If your company performs short print runs for labels that are applied to products or other objects, buying labels in small quantities instead of bulk quantities can help control operating costs. It can also simplify label storage and allow you to change label designs without having a large supply of previously ordered labels that you can no longer use. To inquire about our short run printing labels, or to place an order, please contact Flexo-Graphics today at (262) 790-2740, our use our contact form. We look forward to providing you with digital labels for your short run print needs! We’ve all gotten that “personal” marketing email in our inbox. We’ve undoubtedly filled out a form somewhere, or our email has made it on to some marketing list and now we get bombarded with emails that appear to be made especially for us. And why do marketers do this? Because it works. People respond better when you call them by name. The personalization of marketing whether real or perceived, does actually work. As humans we want to be set apart. We want to feel distinguished in some way and when we see our name on a key chain or a coke bottle, we feel more inclined to buy. As a manufacturer, how can you tap into this personalization? Something as simple as a variable label will do the trick. 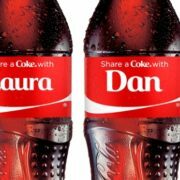 As a professional label manufacturer, we are not suggesting that a name campaign like Coke launched is the best way to personalize your product. We are suggesting however that not every label speaks to every consumer. There are other ways to personalize a product. Color, shape, design, slogan, and special offer are just a few ways you can vary your label so that it has a broader appeal. Many manufacturers recognize that their customers have different tastes, so they develop different flavors to appeal to a wider audience. Well the same is true of the label. Label appeal is driven by all the visual factors previously mentioned and varying the message will reach a larger consumer base as well. When a product label speaks to a customer personally, you have just made the sale. Looking for a Variable Label? If you’ve never attempted a variable label before, we can help! We’ve worked with many clients in creating quality variable labels to meet or exceed the standards you have set for your product. It’s easy to get started — just call us today at (262) 790-2740, or fill out our simple contact form and one of our label experts will get the ball rolling. Pressure sensitive adhesives consist of a sticky substance, which adheres to the surface upon applying a small amount of force. This makes them a lower cost option that is simple to use on consumer products or other items. However, pressure sensitive adhesives are also derived from various types of materials, so it is important to pick the right one. Substrate type, adhesives, and enhancement features all play a role in effectiveness. Printers and converters are experts in this area with years of practice. They are able to offer exceptional advice. Permanent – This is the most common adhesive used in consumer product and industrial labeling applications. Once applied, the name speaks to its strongest characteristic; it cannot be easily removed once applied. Removable – These labels are removable for a period of time. An example might include a coupon attached to another label or a two-part label that is peeled back to view product specific information. Repositionable labels fall into the removable category. These are removable over a short-time period to allow for multiple applications and removal. This choice is often used in retail settings, where products are moved from location to location. A professional with experience in this area will quickly be able to recommend what type of adhesion and qualities are necessary for proper bonding. The wrong choices could lead to it loss of adhesion or damage from harder to control factors such as temperature or chemical exposure. To guarantee a dependable pressure sensitive adhesive for labeling or other needs, you need an experienced printing professional. At FlexoGraphics, we have years of experience when it comes to designing and printing with pressure sensitive adhesives. We work hard to ensure our customer’s gains the right bonding quality and visual appearance for each of their products. Contact us today to learn more! Superior materials that make your labels last longer and stay where you need them to stay. As a food producer, you’ve likely put a lot of effort into creating a product that consumers will love. Designing a captivating label is equally as important and matching the proper label with the conditions it will endure is even more critical. When you are talking about labeling a product that will face harsh environments you need an experienced label manufacturer to help you get a durable label that will stay in place. Regardless of the conditions your product will face, wet, dry, cold or hot, you will need an expert-tested label that has been proven to withstand tough environments and perform as intended. There’s definitely a difference between freezer labels that are used by consumers for homemade foods and leftovers, verses freezer grade labels that will stay in place for shelf life, ensuring brand recognition, clear pricing and details, and durability for package shipment and transporting. Flexo-graphics has been manufacturing labels for all types of industries for over 35 years. They have a team of experts who will walk you through the labeling process and can make it as simple as ordering online. If so, Flexo-Graphics is your ideal destination. We offer a variety of label solutions for different label applications and provide a great selection of product labels, among other benefits. To learn how we can use our special expertise to create the best label for your product, please call us today at (262) 790-2740, or feel free to fill out our contact form. https://flexo-graphics.com/wp-content/uploads/freezer-labels.png 591 1181 fgadmin /wp-content/uploads/flexologoOLG.jpeg fgadmin2018-06-22 12:31:172018-07-02 19:34:05Should you Order Freezer Grade Labels Online? To start, the graphical design aspects are only part of the decisions you will need to make. Label products generated in a professional facility have several base components that directly effect their look and durability. Additionally, labeling products are printed and cut in a number of ways. The first step involves preparing the face stock or printing material, coating, adhesive layer, liner, and inks. Once these items have been prepared, the label product is printed, cut, and finished based on your needs. What Goes Into a Label Product? Base or Face Stock – Since this is the primary material for the label, this will be one of the most critical decisions. Coated paper, polyesters, polypropylenes, and synthetic are a few examples. It is fed through the machine where the design is printed. Adhesive Layer – Resides below the face stock and is used to bond the label to the surface. This material can be removable or permanent with various degrees of tack. A product exposed to extreme temperatures will require an adhesive that is different than a product going on the front of a tee shirt. Coatings and Laminates – Placed on top of the face stock to deliver an extra finish or some type of additional protection like waterproofing. Very critical for both the “look” and the “functionality” of the label. The label products sometimes require a lamination procedure to gain protection from ultra violet radiation, moisture, or chemicals. The type of printing, inks, and finishing methods must also be considered when making these decisions. Once chosen, the face stock is then run through a specified printing process. Designs are either printed directly on the face stock or onto another material, which is then applied to the face stock. The liner below this ensures the adhering material is protected until removed for application. Finishing processes such as die cutting or coating application can occur inline or offline after the preferred printing method has been used. They are inspected after each process to guarantee the highest quality before packaging and shipping. At Flexo-Graphics, we carefully help you pick out the right materials for your label product needs and monitor each process to ensure absolute quality. We will help you gain an affordable labeling solution that meet the need of the intended project. 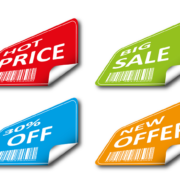 Instant Rebate Coupon (IRC) Labels: How Do They Help Companies Sell More? Instant savings coupons are something consumers see on products shelved in every store. It is a marketing strategy used by companies today to advertise either an item at a specific price or a lower, discounted price. The discount, of course, is applied when customers purchase the item. Instant rebate coupon (IRC) labels are becoming a common method for encouraging consumer purchases. As opposed to mail-in discounts where the customer must perform certain tasks to get the savings, instant rebate coupons provide immediate satisfaction to the customer. Today, consumers are becoming shopping savvy and have increased awareness. A large number of product variations makes it important to be able to make merchandise stand out above the rest. An IRC ensures enhanced value to the customer, makes the product stand out, and relieves consumers of tedious tasks such as cutting out coupons. The savings do not have to be phenomenal, as even a mere 25 cents off will do wonders for any product. Remember the days of individuals spending their Sunday afternoon clipping coupons from a local newspaper? Now consumers want the savings without the work and instant rebate coupon (IRC) labels provide a cost effective way to meet this demand. Since competitors are around every corner, it is in your benefit to grab the customers’ attention in any way possible. As an example, at the local grocery store at least eight different brands of spaghetti sauce exist on the shelf. Your company sells an organic, all natural ingredient garden-style sauce. The product is obviously the healthier choice and giving the customer an instant discount will discourage them from purchasing a well-known national brand. IRC labels are a cost effective way to reach new customers while maintaining those already dedicated to the product. If you have not considered this marketing item, then it is a worthwhile strategy to ponder. At Flexo-Graphics, we have years of experience in working with various types of merchandise labels. Why not give us a chance to boost market notice ability and help your product beat out the competition? https://flexo-graphics.com/wp-content/uploads/IRC-Labels-1.png 4387 5787 fgadmin /wp-content/uploads/flexologoOLG.jpeg fgadmin2018-05-04 10:00:382018-05-22 15:15:39Instant Rebate Coupon (IRC) Labels: How Do They Help Companies Sell More? What Makes Variable Labels so Appealing to Consumers? Variable labels are printed on demand to feature unique aesthetics and information, such as images, text, and numbers, to name a few. 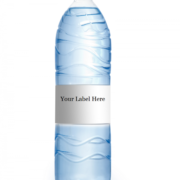 An example of variable labels that are designed for consumer appeal are water bottle labels that contain a message for each attendee to a wedding or a corporate event. Similarly, Coca Cola has printed people’s names on the front of its plastic cola bottle labels with the same appeal in mind. Speaking of appeal, what makes variable labels so attractive to consumers? This is a question every company should answer concerning its target audience before it uses variable labels for product distribution. Obviously, the appeal of variable labels to one customer demographic may be different than the appeal of the labels to another. However, there are certain appeals of variable labels that tend to transcend target audience parameters, particularly the four below. The modern depersonalization of consumer products can be traced back to the Industrial Revolution, when companies became interested in cranking out as many products as possible within a given period of time to increase profits. As consumers, we are used to this scenario today. So, it pleasantly surprises us when we see a product such as a Coca Cola bottle with our name on it. It is not only the personalization that counts, but also the fact that it is so unique. Consumers are also attracted to variable labels because some companies that use the labels accept custom orders, as long as a certain number of units are purchased. Imagine planning a Christmas office party and having one or more types of prepackaged beverages with each attendee’s name on them. Everyone wants to throw a party that won’t be forgotten, and using customized drink containers can be one element of throwing a party that achieves the goal. In the minds of many consumers, something that looks new is new, even if the product is the same as before, with new packaging. When companies roll out different creative packaging options for the same product, sales numbers often insinuate that consumers are interested in more than just the usable part of the product. As admirers of aesthetics in various forms, they are also interested in the creativity that went into producing the eye catching, diverse packaging. A particular company’s specific uses for variable labels probably won’t last forever. Thus, customers are attracted to the labels based partly on the ephemerality of the label presentation. Knowing that something won’t be available forever naturally encourages us to “get it while we can.” This is one reason why time sensitive marketing incentives work so well at selling temporary products. Consumers don’t want to miss out on what may not come around again. If so, you have come to the right place. Flexo-Graphics is a full-service label printing company that handles the entire creative cycle for producing variable labels, including: R&D / need assessment and management of graphics, color, print, and warehousing. We also provide E-tools and client support to offer a best in class customer service experience. To learn more about our variable label solutions, call us today at (262) 790-2740 to get started. https://flexo-graphics.com/wp-content/uploads/variable-labels.png 700 700 fgadmin /wp-content/uploads/flexologoOLG.jpeg fgadmin2018-03-13 08:22:412018-03-16 17:18:31What Makes Variable Labels so Appealing to Consumers? If you currently perform on-site printing for date codes or lot codes then die cut pre-printed shells are a great choice. 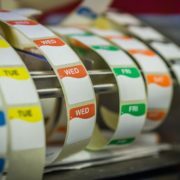 Die cut roll labels are loaded into your printer (Such as a Zebra) in bulk for version based printing. The labels materials are designed specifically to receive several different types of printing technologies. A variety of variables must be aligned appropriately to generate the best finished product. Partnering with an experienced equipment and material provider will ensure these variables are paired correctly. Die cut roll labels offer increased speed and an efficient labeling process. If you are experiencing high amounts of version requirements, then this choice is worth every bit of consideration. When the process is done right, you gain the benefits of increased productivity, dependable output, and lower costs. Not to mention, the preprinted die cut roll labels are often much more cost effective. The label is printed on a roll and then cut out in a manner much like a cookie cutter shapes dough to generate the final shape with the image. Dies come various shapes including squares, circles, or ovals. Custom designs require a little more precision than the traditional options. Decisions such as the roll size, die cut, and backing materials are important in order to gain the right end results. What type of in-house printer do you have? What type of print technology? What size of core is needed for printing? What is the max outside diameter of the roll to fit in your printer? Should I choose paper or film liner? Which is better? Do labels need a timing mark? When pre- printed die cut roll labels are purchased to place on your machine, the roll will be spooled onto a core. The roll may contain a defined count or the maximum outside diameter the equipment is able to handle. You will need to know the details of the equipment to make this determination, as each machine is different. If you are unsure about these details, consult the machine manufacturer or ask a printing professional for assistance prior to ordering. At Flexo-graphics, we understand the secondary print process for labels. We go the extra mile to ensure the labels ordered for this process are exactly what your company needs to produce exceptional final labels. Our team will listen to your needs and make the right to fit them. As an experienced provider in the Midwest partner, we would love to hear from you. Give us a call today! 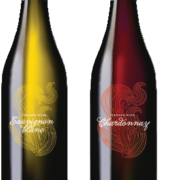 Promotional Wine stickers provide further options for customization and are able to complement their counterpart, the Prime Wine label. Both are often printed on the same types of materials and in multiple shapes or sizes and may serve differing purposes depending on needs. The Prime label is used to achieve product identification or to deliver required information. They are designed to go on a defined surface size whereas a Promotional sticker may be a simple graphic such as a tasting score, award symbol or other picture. Promotional Wine stickers are often applied to shoulder or the neck of the wine bottle. A promotional wine sticker is often placed on the bottle after filling and even at the store level to draw extra attention to the product, or to provide additional information. This is because they provide a versatile, unique way to represent the promoted brand or an individual wine. They are meant to compliment the prime label on the wine. Whether the goal is personalization or to distinguish your products, promotional wine stickers offer a number of options with enhanced graphics and varying sizes. The options are as endless as a blank canvas! Ready to Get Started? Flexo-graphics is Here to Help! Before ordering your promotional wine stickers, it is important to know what is desired in the design as well as the details of the application. The size of the stickers will be dependent on the placement location, the surface qualities, and what information the sticker is providing. Will the sticker only display an image or have text as well? Should it complement your label design or be used in place of it? A professional can assist with these decisions and offer advice to ensure it compliments your product appropriately. If you are thinking about using promotional wine stickers, the team at Flexo-graphics will help you choose the right design elements and size for the application purpose. As a top-rated wine label provider, we have years of expertise and want to help your product succeed. Contact us today to learn more! Wisconsin Commercial Labels: Why Partner with a Local Business? Finding a professional commercial label provider is important to ensuring your product is easily noticed on any retail shelf. Whether you are seeking a local provider in the Wisconsin area or simply want a high-quality, dependable partnership, a few key details will determine the level of received satisfaction. Always consider how long the company has been in business because this offers insight into their experience level and overall knowledge regarding commercial labels. Several factors will play a role in the provider you choose to work with including their ability to meet industry standards, design requirements, and custom needs. What printing capabilities to they offer? Does their location promote faster delivery times? The supplier should be able to provide a solution consisting of the desired mix of design elements, materials, and adherence qualities. Are they able to produce custom designs and are their prices reasonable? A regional supplier can sometimes offer additional benefits to your business. What Are the Benefits a Regional Supplier? When it comes to choosing a vendor or supplier, there are a lot of questions to answer. Sometimes staying local makes it easier to remain on top of your labeling needs such as custom design changes or a sudden short run order. Regardless of your specific requirements, the result should always be a dependable company who can offer precisely what is needed and who knows the business. Lower Shipping Costs – A supplier who is nearby will naturally result in reduced shipping expenses for a company. Faster Delivery Times – The closer the supplier, the better the odds of receiving orders faster. Reactive Business Relationship – At any moment a challenge might take place where a custom short run might be needed or a lucrative opportunity arises. Staying local could ensure the “yes” you need to make it happen! Improved Control over Services – When a supply chain is spread thin, so is control over these processes. The ability to have in-person meetings delivers an opportunity to address concerns or fix problems at a faster pace. Supply Chain Efficiency – The supply chain drives the overall cost of a product or service and a local supplier offers increased efficiency. Beyond savings in shipping costs, the choice reduces logistics spending. This adds up when labels must be shipped to and from multiple locations. Working with a Wisconsin commercial label company delivers both cost savings and increased dependability. The choice may generate additional revenue from local business since others in the same region will see the effort to keep operations local. Getting these items from a dependable Wisconsin commercial label provider is good for the community as well. If you are seeking a dependable, experienced labeling partner, Flexo-Graphics would love to be on your team! Contact us today to learn more about how our services can benefit your labeling needs. https://flexo-graphics.com/wp-content/uploads/web-shoot1.jpg 2592 1936 fgadmin /wp-content/uploads/flexologoOLG.jpeg fgadmin2017-06-16 13:12:392017-06-16 13:12:39Wisconsin Commercial Labels: Why Partner with a Local Business? Each of these factors plays a part in how well the label adheres to the item and the ease of application. 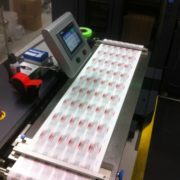 Labels may be attached by hand, semi-automatically, or by full automation. For mass production, automation is the most common way to achieve this part of distribution. Automation offers a fast, accurate way to apply a large quantity to surfaces such as bottles. However, improper sizes or the wrong application surfaces can cause issues during this process. For example, if the orientation does not match, then the label will not have a smooth transition onto the surface of the product or item. When using machinery, one of the biggest questions to consider is: “Is the label compatible with the machinery and application method?”. Surface Type – The application surface is one of the most important aspects because the materials must be a perfect match. For example, some labels are designed for glass surfaces while others work better on plastic. Environmental Conditions – Surrounding conditions like colder temperatures or extensive humidity will have an impact. Some materials are not able to perform in these conditions thus resulting in application or quality troubles. Container Labeling Area – The physical location and size of the area where they will be placed determines adherence, physical appearance, and more. If the label does not fit the area, issues during application will be inevitable. Label Size & Shape – The physical size and shape of the label are also imperative. One that is too large will potentially adhere unevenly or be tapered. A smaller one will not fill the area and result in a less visually appealing design. To avoid sizing difficulties, the labeling area should be precisely measured and provided to the professional printer. It is equally important to tell your provider what type of machinery will be used to ensure the provided labels are not too tightly or loosely wound. Other considerations could be the materials themselves such as any used liners or adhesives. At Flexo-Graphics, we understand how important it is to get the right qualities for machine applied labels. With a few details, we will ensure you get quality labels and the right results for all your product needs. 1) “A paper label off my home printer will due just fine”. – Your home printer can serve lots of functions but making labels for your products generally is not a good idea. Whether your product is homemade maple syrup, a wine you’ve perfected from your vineyard, or an industrial component created from your machining operation, the “home paper labels” are ultimately going to fail. They would be great to stick on your kids homework, but on a product…. Not so much. 2) “I just need a permanent adhesive.”– We really wish there was a one size fits all adhesive. But is duck tape the same strength as cellphane tape? Are they the same as Emler’s glue? All are permanent. BUT, the susbtrate sticks too and the temp range you need can vary. 3) “It doesn’t matter the direction the label is on the roll, I’ll just apply by hand.” – Have you every really applied 1,000 labels by hand? That really takes some time. Can you really place them on the product “straight”, without bubbles, wrinkles? Plan ahead for a future auto apply, you’ll thank yourself later. 4) “I just want my Logo and product name on there.” – Are you sure you don’t want a model number? A part number? Ingredients? Contents section? Do you want a lot number to track when you produced it? Are there any warnings you need? Maybe head out and take a picture or buy some like competitors products and see what they put on their labels. There is a good chance a google search would also help you. Almost any industry needs specific details on their products. Don’t let your product be “not sellable” because you didn’t add something. 5) “I’ll just have my friend/daughter/son design them.” – As long as your friend/daughter/son has designed specifically for label printing before, you are good. But If they design wicked cool websites or web ads, or incredibly amazing posters, doesn’t always translate to the label printing process. Have them talk to your label printer first, and ask questions about files, and sizes, and bleeds and fonts and traps and pms colors and dieline layers and dot gain. If they know what all that means – then you probably are in good hands. Is your company making any of the mistakes above? If so, don’t worry, we can help. Call us today. Packaging, Materials, & Durability. If the adhesive and materials do not work for the packaging, then the label will not stick or become difficult to read. Should a permanent adhesive be used or would a removable label work better? Not every permanent adhesive has the same durability and it is essential to ensure the chosen one will work under the exposed conditions. Additionally, certain products require vital information to reside on the label, which should remain there for the duration of use to prevent a direct violation of federal law. This is an important consideration regardless of the product type. Environmental Conditions. Products exposed to outside weather conditions, extensive handling, cold environments, or prolonged heat must be able to maintain their labeling. A good example of this is drink products that are exposed to both room temperatures and cold. In some instances, the label may also be exposed to liquids or chemicals. The materials, adhesives, and finishes have to be durable enough to withstand these conditions. Amount of Content. The information placed on a commercial label must be legible, easy to understand, and remain intact. Overall design including where this content is placed will play a pivotal role. One option is to use a fold out label as on medicines if a large amount of content is necessary. Another is to use more than one label to convey the details. Overall Visual Appearance. Colors, graphics, and finishes contribute to the overall appearance of a product. Graphics determine if the item gets noticed over the competition. Finishes contribute to this factor as well as protect the label when exposed to certain conditions. Some papers are treated to provide a glossy or smoothed finish while others may be colored, metallic, or transparent. Each of these visual qualities determines the overall consumer appeal of any product. Flexo-Graphics offers several printing method, material, design, and distribution choices. Whether you already have a design that needs to come to life or need a little help in achieving the perfect commercial label, our staff can provide the right information for making these important decisions. With the right design, a product will easily stand out amidst the competition and be the success you have envisioned. “Dry peel labels” is a curious term to those outside the product label industry. They’re labels with a thin layer of non-tacky, temporary adhesive that keeps them in place but lets you remove them with ease. They’re usually flexible for easy removal, and you often see them as coupon labels. In fact, the terms “dry peel label” and “coupon label” are used synonymously. 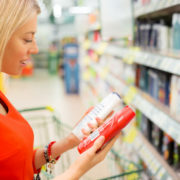 If you’ve ever seen a product on a store shelf, thought about buying it, and then noticed a peel away label that sealed the deal, you’ve likely encountered dry peel labeling — a technology helpful for businesses looking to capitalize on discounted seasonal product offerings. Seasonal coupons are like seasonal products: For the best result, you need to offer them at the right time. However, seasonal marketing research has taught us that there’s often more than one right time to use dry peel labels to sell seasonally; there are actually at least three good times to use them. Let’s say you’re a distillery selling a 32 ounce bottle of fine winter edition bourbon. The drink costs $58.25 — a bit pricy for the “beer pocketbook”, but you have room to lower the price with coupons, capturing sales from consumers who like to mix the business of coupon counting with the pleasure of whisky sipping. Below are three strategic times you could deploy dry peel labels. High-interest customers will pay full price when your product hits the shelf; others will be interested but pass, wondering if the price reflects something unique among bourbons; and others will take one look at the price, and go for a bargain brand instead. After you’re most passionate customers have made their purchase, sales drop — partly because people consume fine bourbon slowly. This can be a good time to lower the price a bit and capture sales from those passersby who gave the product a long look but didn’t open their wallet. Their interest is still high. Your marketing professional advises you on the price drop. About midway through the season or a bit earlier, some of your competitors drop their prices to move more units. If you don’t follow suit, it can have the psychological effect of making your product seem more expensive than it really is. You need to drop the price to compete, so out come your next round of dry peel labels. You capture sales from those interested browsers who passed, and some of your highly price conscious prospects may decide to buy, too. You also get some hits from customers who paid full price and loved the product. They like to cellar nice bourbon — and yours fits the bill. The holidays are over, but it’s still cold outside, and bourbon is a classic drink for knocking off the chill. Like your competitors, you lower your price again. Your profit margin per unit falls, but you make up the difference by selling more units to your most price conscious customer segment. Repeat sales from your other segments pour in, too. A good deal is a good deal. At season’s end, you realize a meaningful return on investment (ROI) from dry peel labels. This three-part scenario of capturing sales with a series of discounts is a general but realistic scenario for using dry peel labels to sell seasonally. You could change the look of the labels with each price drop (using a Christmas themed label for November and December, for example), or you keep them the same. 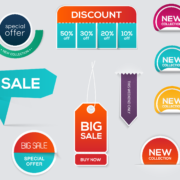 Your marketing professional will advise you on the timing of discounts, what messages to include on the labels, and designing them with branding in mind. Flexo-Graphics will produce the custom labels you need, using our expertise to give them the right print technology and materials for shipping, storage, presentation, and wear. Interested in capturing seasonal sales using dry peel labels to entice coupon shoppers? Contact us today at (262) 790-2740, or email us through our contact form. We’d love to help! Custom labels are a great way to add a unique edge to your product, but what if you do not need large amounts at one time or the branding objectives change frequently? In this situation, ordering a large count for a single design could be a costly endeavor. Another option is to use quick turn labels, which makes it possible to order small amounts with faster turnaround. A quick turn label consists of a custom design, typically has no minimum print count, and can be delivered in only a few days. With this option, the investment cost is lower and it is easier to make changes to the design as marketing needs transform. A good example is when you are running a month-long promotion where a certain custom brand is needed for a defined product count. A specific count will be required for a promotion where the merchandise needs to reach the shelf quickly. Quick turn labels make it possible to acquire a custom design for a small product count to ensure your promotion is a success. 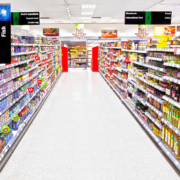 While large print runs have advantages when the label design does not frequently change, they do not support merchandising environments where branding twists and turns. For example, short orders might be necessary for special products that have a limited count. 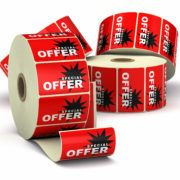 Promotions, limited quantities, and rebranding can all benefit from quick turn labels. Whatever the purpose, quick turn labels are always worth the consideration. Sometimes referred to as short runs, this option offers a fast and easy way to get a custom designed label on your product. 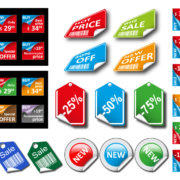 The team at Flexo-Graphics is here to help you get the right labeling solution for your specific promotional needs. Give us a call today to learn more! Sometimes a consumer merchandise label requires additional text space such as over-the-counter medicines. In these marketing scenarios, an extended booklet content label is the perfect option for ensuring all the required product information is available to customers. The design provides a versatile solution when further space is necessary to include regulatory or legal information to the customer for a product. They are also a great choice if label information must be printed in multiple languages. Too much text takes away from your branding space, but extended booklet content labels provide an easy solution. 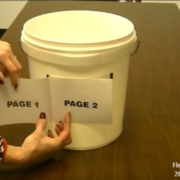 An extended booklet content label is offered to solve the age-old problem of needing to convey in-depth data to the customer with limited space. If you have ever taken time to read the directions on an over-the counter-medicine such as pain relievers, then you might have been introduced to what is commonly referred to as an Extended Content Label or ECL. A booklet folds out to provide all the required information without taking away from the product marketing area. ECL’s are frequently used for merchandise where warnings are required to ensure safe application or use. When is it Best to Use an ECL? Extended booklet content labels may also be used to create your own custom designs to further help potential customers. A good example might be using one to introduce a new product to customers who have already been established to the brand. Another example could be conveying safety information to the consumer or adding marketing information to boost the brand’s presence in social media. The product’s environment, design, application surface, and overall function will play a significant role in what type of extended booklet content label is applied. Booklet designs are an ideal solution for adding hazard information, multiple languages, recipes, branding stories, unique promotional content, and more. Whatever the message, Flexo-Graphics offers a large selection of material and design choices to ensure you keep plenty of branding space while providing customers with all the necessary information. Contact us today to learn more about our extended booklet content label options! If you sell a pilsner or a lager, you can probably see through your beer. Now you have the chance to see through its label, too. Transparent beverage labels have been making their way around the beer world for a couple of years, with the Heineken brand pulling a notable switcheroo and going with transparent labels on its bottles. Craft beer makers are weighing their options with the modern looking labels now, too. What’s good and not so good about transparent labels? Are there any obvious benefits or potential shortcomings? This is what we turn an eye to below, looking at some of the basic pros and cons of transparent labels for craft beer and beer bottles in general. If you have nice Irish red ale with a medium body, a transparent label will help you show off the reddish-amber hue. Also, triple pilsners have a hazy, blonde hue that seems to catch sunbeams, so they’re nice to show off, as well. Basically, if your brew’s color is a part of its consumer appeal, a transparent label helps you showcase the characteristic. Transparent labels look smooth and slick — and they are. Some of them have interesting parameters that curve in and out, snaking down the face of the bottle, creating ridge lines you need to run your fingers over to perceive. These lines create weird sense of traction when you apply pressure, but it isn’t much. Most people would probably find it easier to hold a bottle that has a thick, cellulose-based label. Remember those nervous bar goers you’ve seen peeling the labels off beers, as they take confidence in a friend or bartender? That’s not happening with transparent labels. The labels can form such a strong bond you practically need a razor edge scraper to remove them. This is a good thing as far as communicating your brand goes — and, thankfully, pubs don’t have razor edge scrapers laying around. Going from an opaque label to a transparent label is a major aesthetic change. 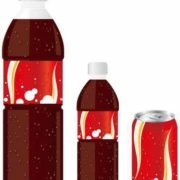 The bottle looks totally different; this can make some consumers second guess buying what was once a favorite beverage. Branding research has shown how important product aesthetics are to our perception of brand quality, especially when the aesthetics have been in place for years. If you plan to switch to a transparent label, perform some marketing research, or maybe test with a seasonal brew. If so, Flexo-Graphics has high-quality, attractive options that you choose from today. Transparent labeling is relatively new to the craft beer industry, making now a good time to consult with us to see if the labels are a good alternative for a particular drink or an entire line. Call us today at (262) 790-2740, or send us an email through our contact form, to reach out. We usually associate the look of craft beer labels with natural paper and synthetic paper that’s better at repelling condensation than the former. But there’s a new type of label popping up on craft beer — and if you look too fast, you might miss it. It’s called transparent labeling, also known as the “no label look”. It’s a synthetic label — usually plastic or vinyl — that’s crystal clear, except for drink information and branding elements. Aesthetic features of the label seem to float on the bottle, creating a sleek, modern, minimalist look that associated with the benefits below. Some craft beer seems as heavy as oatmeal. On the flipside are pilsners that are lite and refreshing like German breakfast beer. The lite, minimal aesthetic of the no label look creates a clean, clear bottle that looks as crisp as the beverage inside. Use the no label look for your entire line or a special light beer whose character the look seems to emulate. Some brewers focus on creating a highly unique bottle. The large Grolsch bottle is a good example, with a unique hand grip formed in the glass, along with a resealable stopper top. If you have a brew that eschews the standard longneck bottle and creates a unique shape, a no look label can help shoppers notice the nice design. Some craft brews — meaning the beer itself — are interesting to look at, especially bottle-conditioned editions that have a natural layer of sediment on the bottom from the ingredient maturation process. The sediment may look unsightly to the non-craft-beer-hound, but specialists like to tilt the bottle and judge the consistency of the layer to surmise the smoothness of the drink when the layer is disturbed and suspended. A clear label helps craft beer aficionados get a good view of bottle conditioning. The no label look gets its aesthetic from ultra clear plastic or vinyl that’s so transparent to the point of near invisibility. Keeping the label in place is permanent adhesive that forms a strong bond between label and glass. Paper labels can get torn during shipping, stocking, and purchase, but transparent labels typically look as good in the customer’s hand as they did coming off of the production line. Interested in the No Label Look? 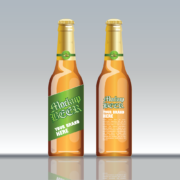 If you aren’t sure, let us do a digital mockup of your beverage and show you what a no label aesthetic would look like. You might decide to use it for a particular brew, more than one, or not at all. If the no label look gets a red light, that’s a step forward, too, as it helps guide you to the right label by narrowing the field. For assistance with label selection, give us a call today at (262) 790-2740, or send us an email through our contact form. We look forward to hearing from you! Nutraceuticals are food products or dietary supplements formulated to provide specific health benefits in addition to nutrition. Common examples of segments in the nutraceutical market include: weight loss, anti-aging, strength building, detoxification, improved immunity, skin improvement, to name just a few. If you can think of a bodily function or condition that could benefit from a health supplement, there’s probably a nutraceutical for it. In recent years, consumers have become increasing concerned about the health of the environment and their own health simultaneously, causing the nutraceutical market to explode with products that are tailored to address a variety of maladies and strict dietary preferences. 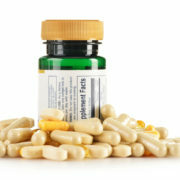 Consequently, we’ve seen a big increase in the demand for nutraceutical label solutions, particularly ones that apply to at least one the following five factors: Baby Boomers seeking health sustainment, the move toward preventative health treatment, disappointment with pharmaceutical options, and a desire for alternative health supplements. We’d all like to be healthier, regardless of our age, but Baby Boomers have reached a time in life when many maladies result from the aging process alone. Consequently, Baby Boomers — many of whom have plenty of money to spend on high-end nutraceuticals — are demanding products that help remedy age-related ailments such as arthritis, high blood pressure, and osteoporosis. Many wish to replace pharmaceuticals with nutraceuticals if at all possible. Health insurance costs increase by the year, making it difficult for many to afford treatment, even using resources such as health savings accounts (HSAs) and policy riders that increase coverage. As a result, many Americans are investing in preventative health treatments in the form of nutraceuticals, hoping to avoid the curative health treatments they receive at the hospital and doctor’s office. An ounce of prevention is worth a pound of cure, as the old saying goes. Many hope to reduce medical costs by keeping their bodies rich with nutrients and other efficacious ingredients in nutraceuticals. We’ve all seen them: pharmaceutical commercials with beautiful scenery, serene music, and good looking actors, advertising medications that could could cure or palliate a serious illness… in exchange for possible side effects ranging from dry skin to suddenly meeting the reaper before your time. Whenever possible, many consumers would rather take nutraceuticals than prescriptions meds to avoid the sometimes serious side effects of the latter. In addition to replacing traditional pharmaceutical treatment, many health-conscious consumers are in the mood to replace conventional health supplements, too. Instead of “natural” supplements that nonetheless have artificial fillers and don’t target particular health needs, they want organic formulations with specific applications. Many high-end nutraceuticals aimed at treating or preventing specific health issues fit the bill. If so, Flexo-Graphics is here to provide them. Our nutraceutical label solutions cover all areas of label creation — graphics, required information, the right adhesive, label composition and surface finish, size and shape, and more — to provide the best label for your application. To inquire about our services, call us today at (262) 790-2740, or send us an email through our contact form. We’d love to talk! If you have a great beverage to sell, the beverage labels you use can play an integral role in motivating people to buy the drink and taste the greatness. As you know, there are plenty of beverage label suppliers out there that would love to print your labels. How do you choose the right one? 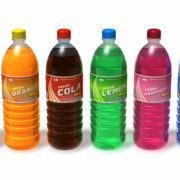 There are lots of factors to consider, from a supplier’s specialties in beverage labeling (e.g. alcohol, dairy, water, etc.) to its reputation at the Better Business Bureau (BBB). In this entry, we get a bit more specific, and list three label options you should receive from your beverage label supplier: multiple stock keeping units (SKUs), polyester label liners, and moisture-repellent varnish. Let’s take a look at the importance of each one. Multiple SKUs do more than help you organize and sell beverages that have been rolling off of the production line for awhile. They also make it easy to expand your product line in keeping with emerging consumer trends and seasonal sales opportunities. For example, let’s say you operate a beer brewery that wants to release a full-bodied lager and an ultra light pilsner to capitalize on trends in each of these beer segments. Working with a beverage label supplier that offers multiple SKUs provides labels that make your beer easy to stock and sell from the moment the label is applied. The aesthetic quality of a packaged beverage relies on the appearance of the container and the label. To ensure labels retain the necessary adhesive strength during the shipping and label application processes, receiving them on a polyester liner — from which they can be peeled away with ease — is ideal. Polyester is a tough, synthetic material that stands up well to everyday wear. Just ask people who still wear their polyester shirts and blouses from the 1970s. Polyester liners protect the reverse side of beverage labels. Moisture-repellent varnish protects the front side. Varnished labels are a great option for beverages placed in personal, ice-filled coolers or supermarket refrigerators, where drinks get cold enough to produce condensation when they’re placed in the shopping cart. The varnish doesn’t change the appearance of your label. Rather, it helps protect the appearance of the label, from the production phase, though the retail phase, to the point that end users buy the beverage and place it in cold storage. Need a New Beverage Label Supplier? If so, it’s a good idea to choose a beverage label supplier that offers the three options above, which combine to expedite inventory stocking and protect label appearance both before and after labels are applied. Flexo-Graphics is proud to offer these options to makers of various beverages, including wine, craft beer, sports drinks, and dairy beverages, just to name a few. To learn more about what we can do as a beverage label supplier, give us a call today at (262) 790-2740 to speak with one of our product specialists, or send us an email through our contact form. We look forward to learning about your company’s products, and seeing how we can help you support sales with our innovative label technologies. Reclosure Labels for Food: What Are the Benefits? Reclosure labels feature temporary adhesive that allows them to be easily opened and reclosed. To open the label, simply pull gently on the tab at the front side of the opening. To close the label, just smooth it back into its original position. The back of the label is connected to the package, so placing it exactly in the original closed position is easy. The use of reclosure labels has increased with improvements in temporary adhesive, which is designed to stay firmly in place, until it’s manually peeled away with ease. Packaging food in containers that feature these types of reclosure labels has several benefits over using traditional kinds of packaging, such as paper and rigid plastic. Check out five of the benefits listed below. When you open a package that has a reclosure label, there is no need to tear open paper, plastic, foil, etc. Simply pull the tab open with ease. Reclosure labels practically eliminate the need to place the food in a different container, such as a resealable plastic bag, due to the original package tearing apart. With conventional paper and plastic packaging, there is seldom the chance to reseal the package as firmly as it was originally sealed. Depending on the type of food in the package, weak closure seals could draw insects that are common pantry pests, such as ants, roaches, and weevils. Reclosure labels help prevent this problem. Another nice thing about reclosure labels is that you can essentially reseal them an endless number of times without the seal weakening. This makes the seals a great option for medium to large supplies of snack foods that are eaten frequently in relatively small portions, such as cookies, sandwich crackers, and nuts. Because the package stays in good condition and its original seal can be restored countless times, the food in the package naturally stays fresher. Every producer of foodstuffs wants its products to stay fresh and edible until the expiration date, and reclosure labels can help make it happen. One thing that’s seldom mentioned about reclosure labels is how they can benefit a certain population: people with hand problems such as arthritis and scleroderma. For many, the easily peelable and resealable labels make it easier to manipulate the package than if paper or rigid plastic were used. Flexo-Graphics provides commercial print solutions for various types of labels, coupons, containers, and more. 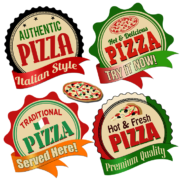 Printing reclosure labels for food and other products is one of our specialties. Since 1983, we’ve helped businesses sell more products and make products easier for consumers and businesses to use by providing dynamic print to packaging solutions. To inquire about your options for reclosure labels with us, give us a call today at (262) 790-2740, or fill out the contact form on our website. We look forward to hearing from you! 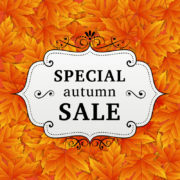 https://flexo-graphics.com/wp-content/uploads/AdobeStock_106407976.jpeg 5250 7350 fgadmin /wp-content/uploads/flexologoOLG.jpeg fgadmin2016-10-21 16:11:162017-10-13 18:58:48Reclosure Labels for Food: What Are the Benefits? In the commercial food industry, copackers are companies that produce food and food packaging on behalf of clients. After the packaging is produced, clients apply their brand to it, as well as any information required by company policy or the Food and Drug Administration (FDA). For example, if you go to Whole Foods and buy the store’s brand of beverages — ones that have the 365 label — you’re purchasing products the store paid another company to produce and package. You find the same type of products at practically every large grocery chain in the U.S. For consumers, the value is that store brand products usually cost less than products from independent brands but taste just as good. There are two basic types of copackers: ones that supply primary packaging, such as the cans or bottles beer comes in; and ones that supply secondary packaging, such as the six-pack holder or the cardboard box that contains the bottles. As Wikipedia notes, “Secondary copacking is typically used for the purposes of branding and display.” However, concerning the third party packaging process, secondary copackers aren’t solely responsible for brand appeal. For example, while brand appeal for a six pack is found on the paper six pack holder, brand appeal for the individual beverages is found on the bottle label. The difference is important to note, because many stores offer a “create your own six pack” option, in which customers read labels directly applied to bottles to judge whether a particular drink seems appealing. So, just as there are two basic types of beverage copackers, there are two basic types of labels for beverage copackers: labels applied directly to individual beverages and labels applied to the container that holds the beverages. The faster beverages are properly packaged, the faster stores can price them and put them on shelves. To minimize turnaround time for the packaging process, it’s helpful to have a single company perform both primary and secondary packaging. It’s also helpful to remember that many copackers aren’t label specialists. 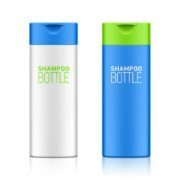 To make the best brand impression, you may need to work with a labeling solutions provider, such as Flexo-Graphics, in addition to working with a copacker that puts beverages in labeled containers. First, packaging is selected. Second, your brand and any additional graphics or information is printed on the packaging. Third, beverages are placed in the packaging and distributed for sale. After the package is labeled, filled, and sealed, it’s ready for store shelves. Need Labels for Beverage Copackers? If so, Flexo-Graphics is here to help. We provide labels for beverage copackers for a broad array of products, including beverages and foodstuffs of various kinds. We can work with your copacker to ensure that your store brand products are perfectly labeled, and arrive ready to sell. To inquire about our labels for beverage copackers, please call us today at (262) 790-2740, or fill out the contact form on our website. We look forward to hearing from you! Not so long ago, there was a time when craft beer usually hit store shelves and pub tables to herald the arrival of a season, or celebrate a holiday. Craft beer makers still take advantage of these opportunities, but many of their brews are now available year round. Craft beer has become a booming business, with some microbreweries turning into major breweries. However, as happens in many other industries, with increased business presence has come increased regulation. One of the latest regulations on craft beer comes from the U.S. Food and Drug Administration (FDA). Starting in December, 2016, the FDA requires craft brewers to list nutritional information for their libations on the product package (e.g., six pack container) or individual cans and bottles. But there’s a catch. For craft brewers whose revenue already depends on selling their drinks in restaurant and pub chains, compliance is all but inevitable. Come Christmas 2016, many of the seasonal labels craft brewers apply to their products will contain nutritional information for a great tasting product we usually don’t associate with nutrition. Craft beer usually isn’t something we drink if we’re counting calories. Like fine candy, the beer is typically a high carbohydrate concoction that we consume for pleasure. Consequently, listing all of those empty calories on seasonal labels for craft beers this Christmas is unlikely to make many people sober up about their caloric intake of alcohol. However, it should be noted that, along with the craft beer movement, has come the movement to improve health by eating foods whose ingredients contribute directly to a healthy body. For the sake of analogy, if these two movements were parents, the new FDA labeling requirement for craft brewers would be their offspring. There’s also the impact of cost. 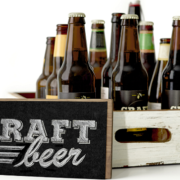 Craft brewers whose products are sold in chain restaurants and pubs need a new product labeling solution, preferably one that contains the new information without compromising existing elements of visual branding. However you slice it, many brewers will have to pay for new product package and/or product label designs in just a few months. Need Seasonal Labels for Craft Beer? If so, Flexo-Graphics would be proud to serve as your label supplier, providing you with all of the information you need to select the best labels for your products. The FDA’s new requirement for craft brewers may temporarily throw a wrench in the gears of brewers’ labeling processes. To learn how we can help you label your beverages, call us today at (262) 790-2740, or use the contact form on our website. We look forward to designing the label you need, so your business can focus on what it does best: Brew great beer. Major holidays are often celebrated with festive foods. Eggnog, fruitcake, pumpkin pie, and solid chocolate rabbits immediately come to mind. As delicious as holiday foods may be, some of them aren’t found on store shelves year round. Stores commonly start selling seasonal products between 1-2 months before the holiday actually rolls around, and then quickly sell leftover products at a steep discount, when the special occasion passes. Many holiday foods are easy to identify because they feature the celebratory colors of a season, such as Christmas red and green; feature magical characters that are linked with holidays, such as the Easter Bunny and Santa Claus; and/or use classic holiday decorative elements, such as green holly, spruce, or tinsel. Moreover, manufacturers of holiday foods have two major concerns when it comes to product labeling: They need a foolproof way to make consumers associate the foods with the holiday in question, and they need the ability to implement the strategy quickly and cost effectively. When it comes to labeling foodstuffs, holiday labels that are ordered as short run labels a perfect solution for many manufacturers. Below are three reasons why. Short run holiday labels are labels produced in small batches that feature the seasonal design the client desires. Sometimes, ordering short run labels is referred to as “on-demand printing”, because the labels you receive are literally printed as you “demand” or need them. Technically, this printing discipline makes it possible to use all of the labels you need, with not one label leftover. In terms of supply and demand, ordering labels doesn’t get more economical than this. When you order short run labels, you’ll need to make some technical decisions about their features. For example, do you want a paper label or a synthetic label? Do you need a permanent label whose strong adhesive makes it tough to remove, or do you need a temporary label that stays in place but can be peeled away without much effort? How large should the label be in relation to the food container? What essential information should the label feature? These are just some of the questions you’ll need to answer to ensure that you get the right short run labels for your requirements. Your label supplier can help you address additional questions. If you’re in the market for holiday labels for foods, don’t feel bad if you haven’t answered all of the questions above, or other questions that pertain to the labels you need. That’s what Flexo-Graphics is here for. We’ll guide you through each step of the label selection process to ensure that you receive the right labels for your wants and needs. To schedule a free review of your holiday food label requirements, give us a call today at (262) 790-2740, or use the contact form on our website. We look forward to learning about your holiday labeling plans and helping you achieve them! Contract Packaging Labels: Are Your Products Sending the Right Message? While your company might excel in these areas for a product, it is often hard to manage every aspect including how it is labeled. Due to this fact, a number of companies rely on this service to ensure they have high quality, secure, and properly labeled packaging for each good they shelf. Contract packaging labels are an essential part of this endeavor. Having the right labels available with a catching design, adds the final touch to products as they enter the consumer market. Why is a Dependable Manufacturer Important? Additionally, the choice to have an experienced provider ensures the best choices are made from design to printing. As a packaging manufacturer, you need a dependable label partner to create the required custom designs. One who is able to provide easy to manage, fast quotes for each product is essential to preventing delays. The chosen contract packaging label provider should also be able to offer dependable inventory programs, competitive pricing, and services designed to boost the value of your product. A few other qualities such as design assistance, years of experience, and the most dependable techniques are equally important when partnering with a provider. An experienced manufacturer provides access to processes and materials that would otherwise be costly to manage within the company. They offer a team of professionals who have worked in this area of business for many years. This is beneficial when you need help choosing the best materials or for designing a label to ensure it catches the consumers attention. Here at FlexoGraphics, we know the label is the first thing a customer will see when viewing a product. Whether you are a contract manufacturer or a company looking to properly display these items, we can help you with the entire product from contract packaging label design to final production. Our team is able to make recommendations regarding materials, processes, and designs to ensure you get the right message placed on each product you sell. https://flexo-graphics.com/wp-content/uploads/market.jpg 3342 2988 fgadmin /wp-content/uploads/flexologoOLG.jpeg fgadmin2016-09-09 17:01:332017-01-17 17:54:14Contract Packaging Labels: Are Your Products Sending the Right Message? Beer Label Solutions: What Information Should Craft Beer Labels Contain? 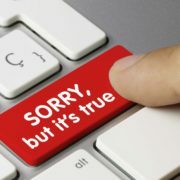 When consumers scan a beer label before they make a purchase, there are certain types of information they expect to see. Some of the information is considered essential from a regulatory standpoint, while other information is considered “important” to prospective buyers based on what it reveals about the finer aspects of the beverage. Below, we look at several types of both essential information and important information that should be considered when creating beer label solutions. Depending on the target audience of a brewery, other types of information may need to be presented, too. 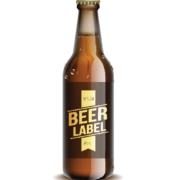 All decisions regarding product information can be made with the help of a beer label solutions provider. When it comes to labeling beer, different states and countries have different informational requirements. But there are some types of information that are required — or at least desirable — in almost all situations. Most brewers and consumers regard the following types of label information to be essential. These pieces of information provide consumers with a basic insight into what they’re purchasing. However, much of the information above is so longstanding and ubiquitous that many beer buyers don’t take time to read it. Instead, they focus on information that they consider most important from a consumer perspective. Let’s take a look at this information. There are some types of important information that beer label solutions do well to advertise, even when the advertisement isn’t required by law. Often, it’s this type of information that most drives the purchase. Below are six examples of important information that beer lovers look for when making an in-store purchase. In terms of meeting sales targets, including information that beer drinkers consider important is likely to drive more sales than listing essential information alone. 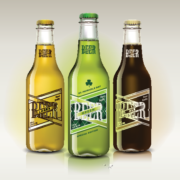 If you need beer label solutions that contain both types of information, Flexo-Graphics can provide the labels you need, which feature the information in a way that doesn’t detract from visual brand appeal. Helping beer brewers and wine makers label their products to achieve compliance and brand appeal is one of our longstanding specialties. Whether you operate a large brewery, a microbrewery, or a brewery that’s positioned something in-between, we can provide beer label solutions that present all essential and important information about your beverages. To schedule a free review of your brewery’s labeling needs, please call us today at (262) 790-2740, or use the contact form on our business website. We look forward to helping you arrive at label solutions that are the best fit for your fine beverages, now and in the future. https://flexo-graphics.com/wp-content/uploads/craft-beer-labels.png 357 630 fgadmin /wp-content/uploads/flexologoOLG.jpeg fgadmin2016-09-02 16:06:432017-01-17 17:54:57Beer Label Solutions: What Information Should Craft Beer Labels Contain? 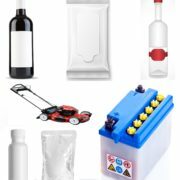 Most products that are brought to market are packaged in some way, making product packaging an essential element for bringing goods from the production floor to store shelves. For companies that don’t have an in-house packaging department, handling the packaging process through contract packaging, in which they form a contract with a provider of product packaging resources, is a great option. Below, we list five reasons why so many companies choose it. Most companies that sell products don’t specialize product packaging, but they know how important it is for bringing products to market and making sales. This is why many businesses smartly delegate product packaging needs to a company that specializes in handling them. Forming a contract ensures that a high level of expertise in product packaging is always there. Companies that offer contract packaging often have access to a wide range of business resources directly related to product packaging, such as label printing, creating custom packaging, and even supplying special ingredients for products. Contract packaging puts you in touch with these resources and allows you to leverage them in the most hassle-free way. With expertise in product packaging and a large network of high-level packaging resources comes improved quality control. Low-quality packaging isn’t just bad for the appearance of the package and/or the product inside; it can also require a full production run to be repackaged. As every company that’s experienced it knows, this scenario is totally opposed to productivity. Contract packaging is also a great option because it allows manufacturers to buy packaging on an as-needed basis. Large-scale users can purchase in bulk to cut costs, while small-scale operations can purchase in smaller quantities to reduce expenditures. When it comes to packaging cost, no company is too large or too small to benefit from contract packaging. For many businesses, the primary benefit of contract packaging is that reduces the time for bringing new products to market. With packaging specialists handling the packaging process, sellers can put more time toward product development and testing. The best packaging protocols will already be in place whenever you’re ready to release your next product. 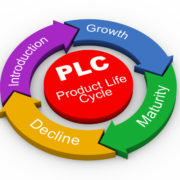 Most companies that sell products are experts at creating and marketing what they sell, but the expertise seldom extends to selecting the best product packaging in terms of cost, quality assurance, best options for particular products, and using packaging resources to reduce the turnaround time between manufacturing a product and bringing it to market. If you need assistance in these areas, contracting packaging is a great option. 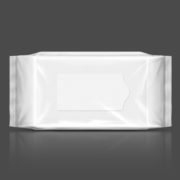 It lets you focus on creating great products, while the service provider focuses on offering best the packaging options. Flexo-Graphics is a partner with contract packaging organizations in several markets. We serve as a team to help product sellers bring their products to market. Give us a call today at (262) 790-2740, or use the contact form on website to ask how we might be able to help you. We look forward to hearing from you. In the age of mass production, most products contain “general labels” that advertise a product in a specific manner that appeals to the target audience but don’t contain personalized messages for segments of the audience or a specific audience member. This type of labeling has been used for centuries. However, today, many companies that sell products are resorting to label personalization to help stimulate product sales among key demographics. Label personalization, especially when a single unit of a product contains a personal name (e.g. Tom, Mary, Michael, etc.) seems to have both a built-in advantage and an inherent disadvantage. The person whose name appears on the product may be flattered enough to buy it, but what about people with a rare names such as Reese and Gregorio? Would they be quick to buy a bottle of soda that has someone else’s name printed on it? Probably not; however, as you might guess, the strategy of applying personal labels to individual beverage units and other types of foodstuffs has been fine-tuned from a marketing perspective to feature only the most popular first names in the area of the product’s distribution. Moreover, Coca-Cola’s name campaign is a production gimmick that is used to help associate soft drink users — particularly young ones — with one of the oldest, most ubiquitous soft drink brands on the planet. But, in terms of revenue, it an easy means of promoting something that’s quite serious to Coca-Cola: the expansion of its brand to newer, younger customer segments who could become lifetime customers. As long as the name campaign keeps achieving this result, don’t expect it to go away like a clever commercial suddenly disappears from prime time TV. Almost any consumer product can be emblazoned with a personal touch that appeals to the sense of self of the person. 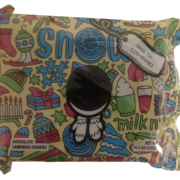 Mondelez, the Oreo cookie producer, launched shop.oreo.com this winter to allow end users to create custom packaging of their famous cookie. In terms of product quality, consumers know that a product bearing a personal touch doesn’t offer anything different than the same product that has standard packaging. However, when customer demographics are broken down into psychographics, the strategy often shows great potential from a professional marketing standpoint — not just for “Big Boy” products but for many other brands, as well. At this point, you may be wondering whether labeling personalization would work for some of your company’s products, too. To arrive at the most educated answer, two measures are needed: marketing expertise that applies to your products and consultation with an experienced provider of product labeling solutions to identify the best type of personal label to usu. This is where Flexo-Graphics can help. We’ll work with you to use your company’s marketing knowledge to produce personal labels that help stimulate sales. Private labels are labels that a company uses to sell products that are made for it by another company, using its own brand and not the brand of the company that makes the product. For example, the pharmacy Walgreens may pay a manufacturer of over-the-counter (OTC) cough remedies to create a cough syrup that the pharmacy then sells under the Walgreens brand. Chances are that you have some private label products in your home or workplace right now. To consumers, the use of private labels can seem somewhat perplexing. Why would a company go through the process of branding another company’s product as its own, when it could instead sell the product under another company’s brand with less effort? From a sales standpoint, the arrangement is typically implemented to produce a store brand product that has a better price point than name brand products that are practically identical to it. Consequently, the store brand tends to sell more units than a competing name brand, with the high volume of sales establishing the financial value of the lower price. This is the utilitarian value of private labels from sales standpoint. When you analyze them from a marketing standpoint, you see why products that feature them are so attractive to sellers. Not including the fact that the products have better prices than big name brands, most sellers that use private labels do so to achieve one or more of the following marketing-related advantages. Brand Loyalty — The seller can create a marketing identity around the product that promotes customer recognition and loyalty, which in turn promotes strong sales. Tailored Specifications — The seller can use labels that feature its logo, the product’s name, the product’s description, etc. in a way that is ideal for appealing to buyers. Better Control — The seller has excellent control over how the product is priced, marketed sold, and distributed, and thus has more control over the bottom line. Product Exclusivity — The seller owns the brand and can develop it to make its products appear highly exclusive, then leverage this identity for marketing purposes. Considering these advantages, what prevents some multi-brand retailers from developing a store brand? 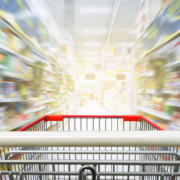 From a labeling and packaging standpoint, one of the greatest obstacles is that store brand lines result in a large volume of stock keeping units (sku’s) for the manufacturer to manage. 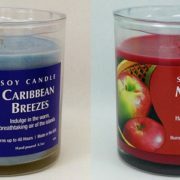 But this obstacle can be circumnavigated when the seller works with an experienced provider of private labels and custom packaging solutions, such as Flexo-Graphics. Need Help With Private Labeling? If your company is interested in creating a store brand or expanding its current line of store brand products, we can simplify your plans by creating best in class, digitally printed private labels and product packaging, and by handling the placement and management of sku’s so the manufacturer and your company can focus on what they do best: make products and sell them. For more information about our private labels and packaging solutions, please call us today at (262) 790-2740, or fill out the contact form on our website, to schedule a free consultation. With our assistance, your dreams of profiting from the sale of a store brand can become a reality! Are You Missing Important Elements in the Labeling of Products? 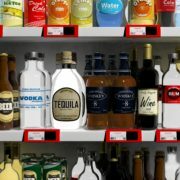 Now that you have found a provider of labeling services that can translate the qualities of your brand to new types of packaging, it’s time to look at some packaging options that could improve how your product looks on the shelf, improve how easy it is for consumers to access, and enhance the salability of the product is. Below, we take a brief look at each of these concerns in terms of labeling options. For additional information, please contact us today at (262) 790-2740. Product appearance is crucial to realizing sales targets in terms of how the company’s brand label appears on the product. As experienced offline and online marketers can tell you, having a multitude of different logo designs that differentiate in appearance can be a sales and marketing nightmare. In most cases, the brand of a company should be aesthetically cohesive across its full lineup of products. With our aesthetic focus on labels, we can help you achieve the goal. Product labels rarely make the products on which they are placed harder to access, but certain types of labels can make certain types of products easier to access. For example, bottles of over the counter (OTC) medicine often entail extensive dosing information that is best presented in a fold out label that can be refolded and applied to the bottle through the use of special adhesive that is easy to peel away and reapply. We can supply labels with this type of adhesive. If you wish to discount products in a way that motivates consumers to make a purchase, sufficient attention must be drawn to the discount opportunity. One of the best ways to do this is to affix a coupon directly to the product — a coupon that can be peeled away and presented at the point of purchase to receive the discount. Flexo-Graphics has years of experience producing discount labels that are applied to the product to motivate consumers to make a purchase. If your business needs help with printing product labels that excel in terms of product appearance, consumer access, and product salability, you’ve come to the right place. We are your one-stop online source for receiving the highest quality printed labels at the best prices. Flexo-Graphics employs every conceivable measure to produce the best labels at the best prices. For a free evaluation of your labeling needs, call us today at (262) 790-2740, or fill out the contact form on our website. We look forward to providing you with best in class labels! 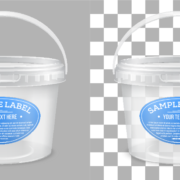 https://flexo-graphics.com/wp-content/uploads/peel-and-stick-labels.png 1126 1688 fgadmin /wp-content/uploads/flexologoOLG.jpeg fgadmin2015-12-15 11:34:412017-04-21 16:36:43Are You Missing Important Elements in the Labeling of Products?